David Brock is a classically-trained professional organist and musician who tours the United States. I hope you will visit my music samples page to listen to clips of organ, harpsichord, and piano music from solo, chamber and orchestral performances and recording work. The concert calendar page offers you the opportunity to see my upcoming and recent performance schedule as well as links to buy tickets to some events. The about the artist page will tell you more about my musical life journey. Pictures and video clips are available through the photo gallery. To order CDs I have recorded, please visit the albums page. Please download a free ringtone of the Bach Toccata and Fugue in d minor here. Thanks so much for your artistic support, and for visiting www.davidbrockmusic.com. Please come back soon! 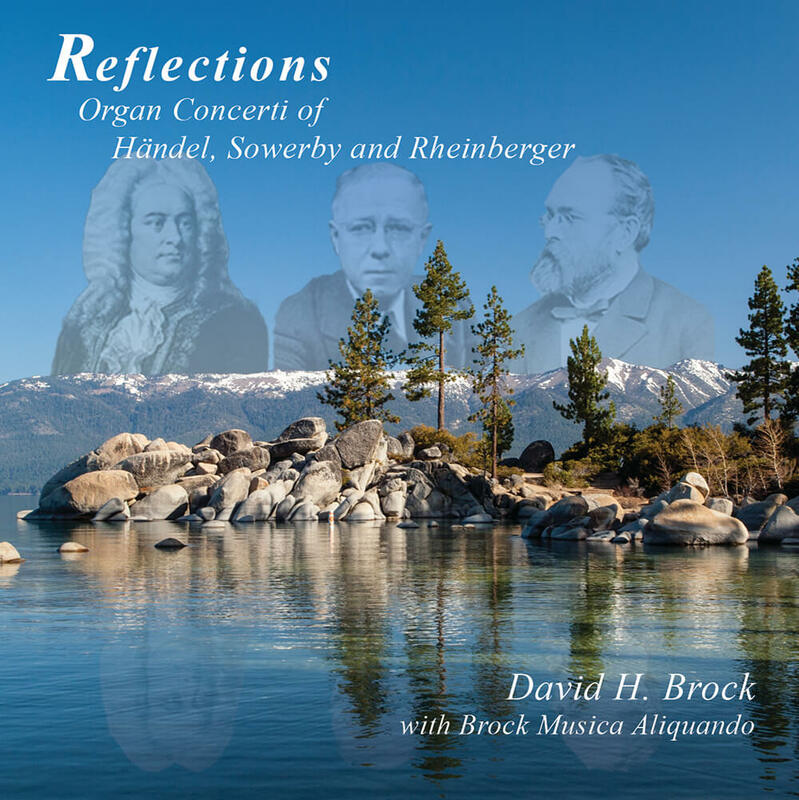 Janaury 2016 – New Album Release: Reflections – Organ Concerti of Handel, Sowerby, and Rheinberger. CDs are available for $15.00 plus shipping & handling. Digital downloads available at iTunes, Amazon, NaxosMusicLibrary and others. CONTACT DAVID ABOUT HIS MUSIC!